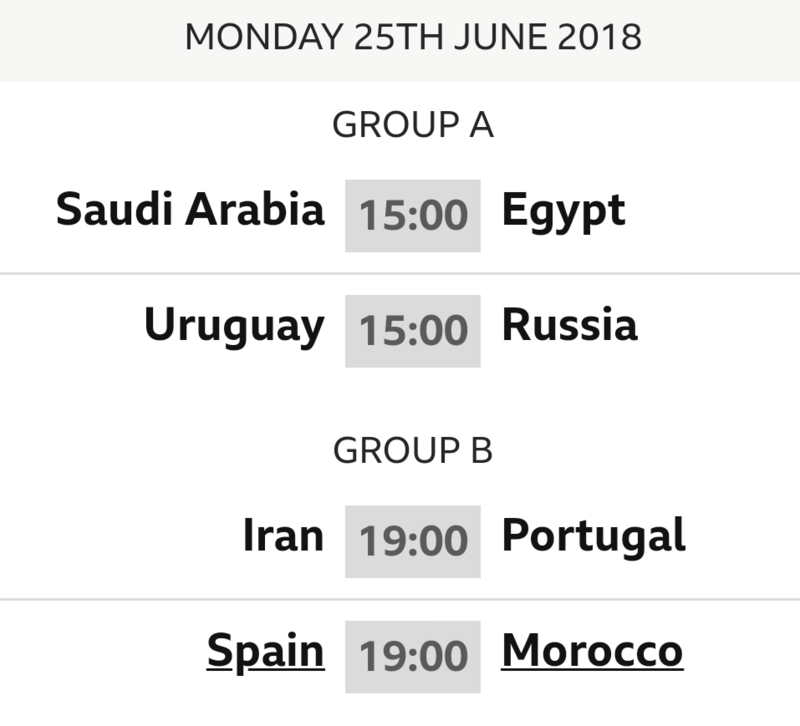 Is there going to be any decent football to watch for the next 16 days? The short answer is ‘no’ as our next competitive game is not until April Fools day. April the first is a Monday so even when proper football returns, we’ll have to wait for the whole weekend to pass before seeing the lads play again. When I say ‘competitive’ match, I notice that a new fixture has appeared on AFC.com, a friendly on Tuesday March 26th, 3pm kick off. 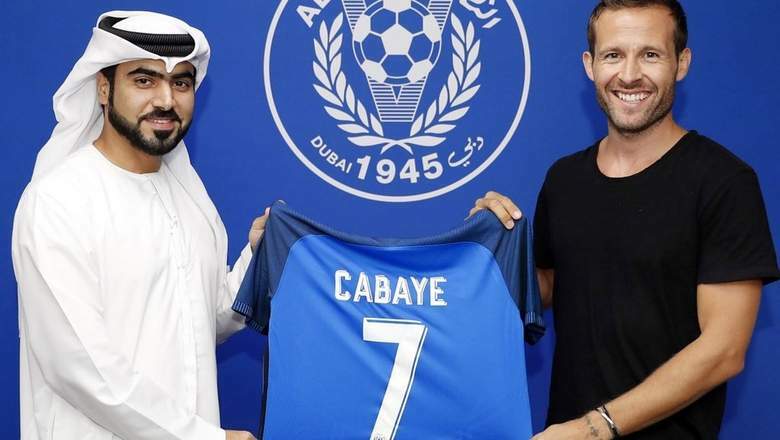 This is part of a mid-season break in Dubai for those not involved in the internationals and the opposition is Al-Nasr Dubai SC. This is not purely an exercise in trying to boost our profile in the Middle East, latching on to a portion of oil money. Oh no. How about this weekend? Is there anything interesting in the Prem games. Saturday is a complete wash out with three non-entity fixtures. Let’s hope the rugby is good and England still have something to play for at 5 o’clock. Sunday sees Liverpool trying to go back to the top of the table at everyone’s favourite ground, Craven Cottage, followed by the chavs at Goodison. Theo always used to score against them, didn’t he? There appear to be some FA cup games this weekend, too, but hold little appeal for anyone apart from fans of the participating teams. Millwalll fans have been told they’ll get a severe telling off if there’s any homophobic chanting at the Brighton fans. Good luck with that. City and United to go through to add to their fixture congestion? Who cares? As far as the international fixtures are concerned, attention turns to European Championship qualifying. Yawn. England play the Czech Republic next Friday at 7.45 and Montenegro away on the Monday evening. Let’s hope all our boys involved in matches for their respective countries return unscathed, so when April does come around we can continue afresh. 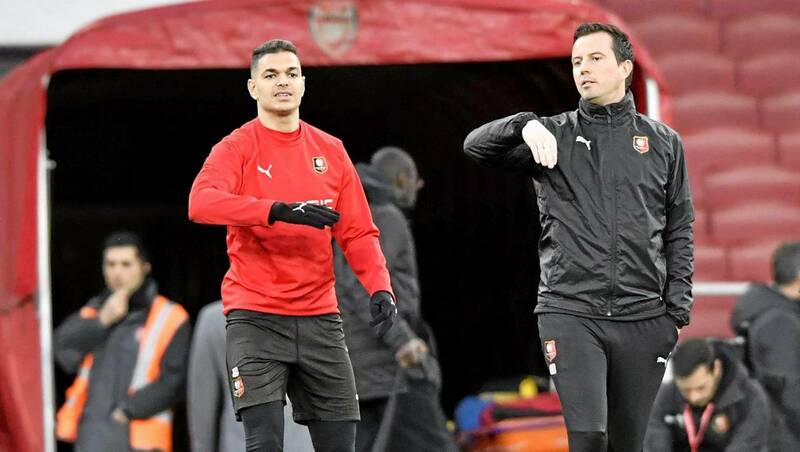 The following is a translation from the French website Ouest France and is just an excuse to show another photo of the lovely Ben Arfa. My reaction to seeing photos of him has gone from disgust to barely concealed delight. No idea why. 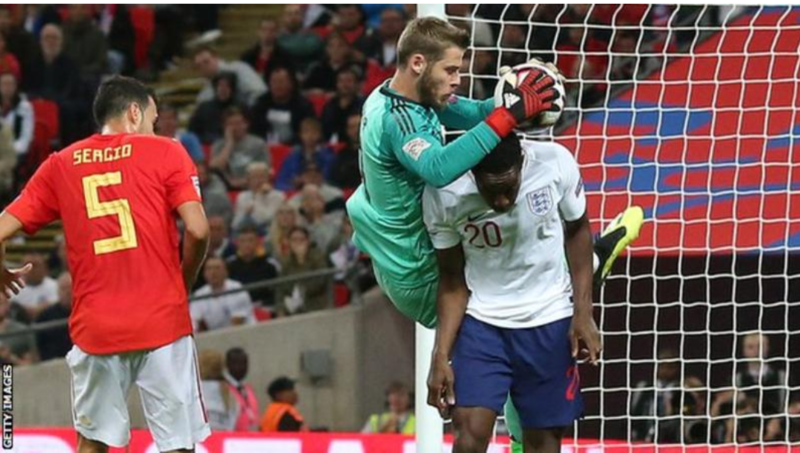 So, the UEFA Nations Cup opened up for England in dramatic style with the ref displaying the usual UEFA bias towards Spanish teams when he disallowed Danny Welbeck’s late equaliser. Apparently the goal was disallowed because Welbz just stood underneath De Gea waiting for him to fall on top of him! Reasoning of that kind just beggars belief. Wembley looked rammed as the new competition format promised more than the usual tedious friendlies. Spain were the classier outfit throughout as you might expect with so many spuds on show for England. The Spanish (and Basques) shaded possession but had fewer shots on target from the same number of efforts on goal. The moment all Arsenal fans were waiting for came in the 94th minute – there was a large amount of injury time due to an unfortunate clash of heads involving the unlucky Luke Shaw just after half time. Welbz had only been on the pitch for a minute or two when he majestically stroked the ball into the net after De Gea fumbled. After consultation, the bent ref ruled the goal out and England’s celebrations were cut short. Here’s the incident, judge for yourself. Danny Welbeck finishes after David De Gea spills it. After a delay the referee says no goal! 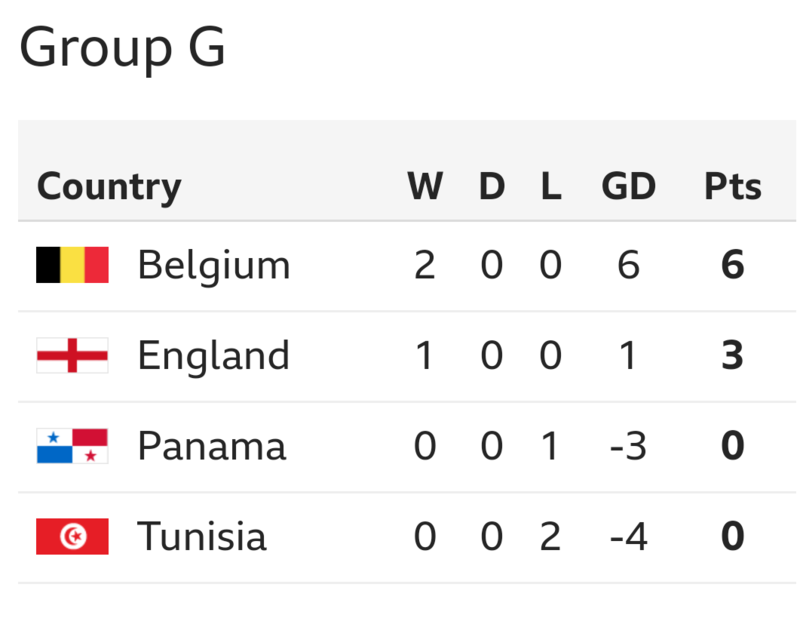 England blast Panama and Group H reveals itself as most intriguing with its diverse participants. The first two groups complete today. 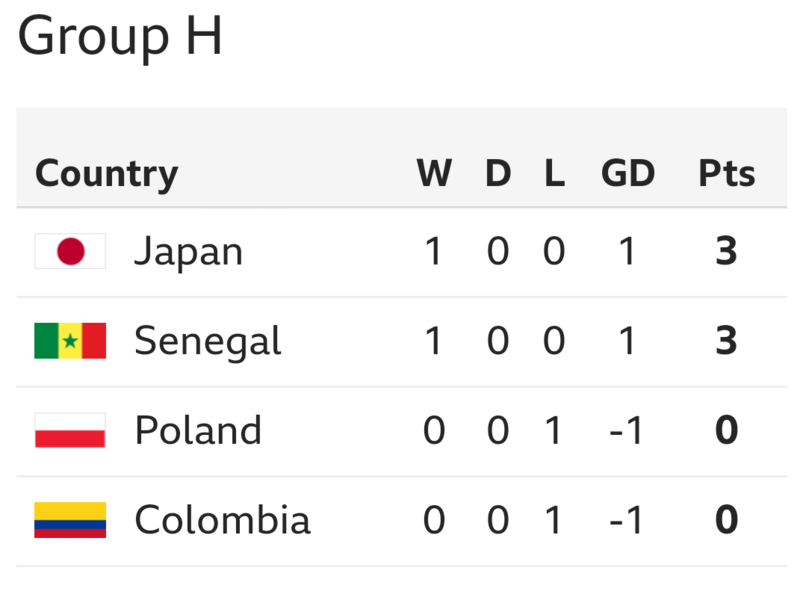 Group A is done apart from who’s first and second. 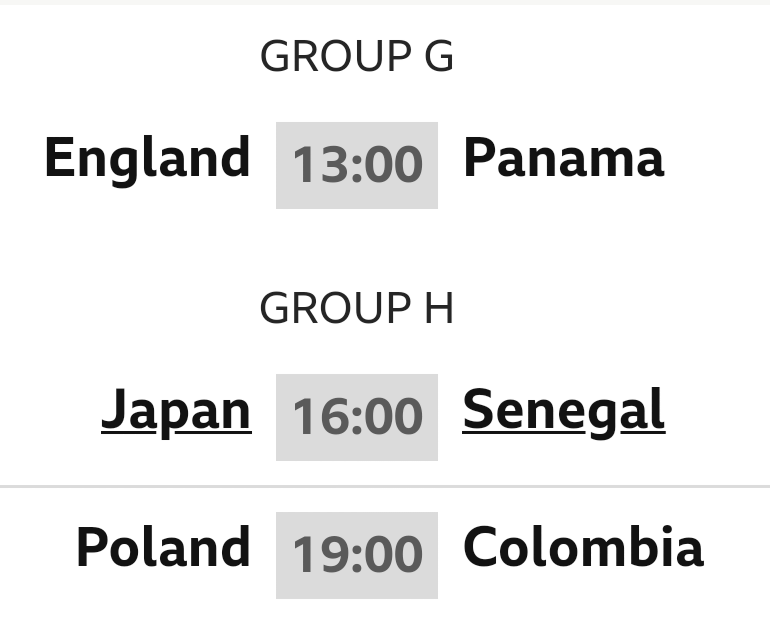 Group B will probably still finish with the two favourites going through but you never know. So Die Mannschaft finally found some stiffness late on. Today’s all about hats and cigars early on. 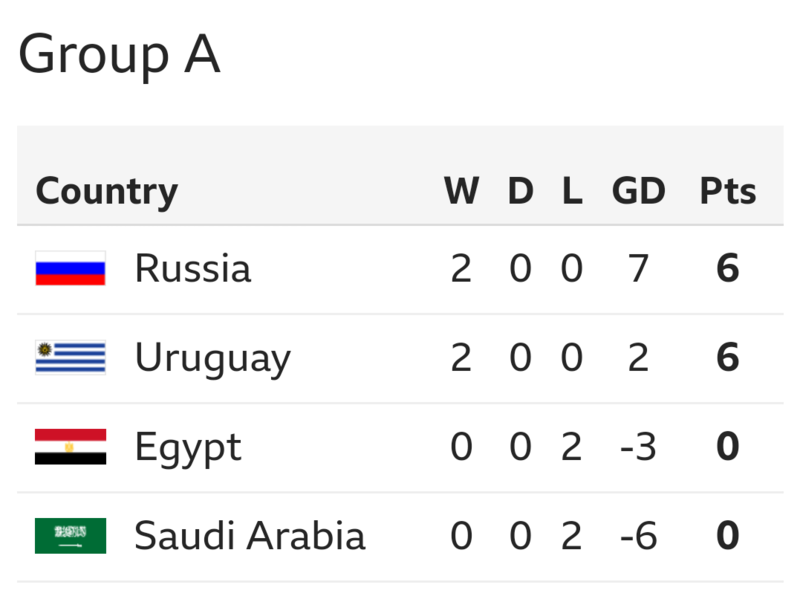 Group H throws up two tasty games with everything to play for. Will the Poles decide to take the Rolls Royce out of the garage for a must-win match? Not only is a 3 week lay-off mid-season inordinately dull, it is also costly to the Arsenal squad. Both Wilshire and Koscielny have been withdrawn from their respective squads for games this weekend. Fortunately both injuries appear to be wear and tear and not something as devastating as JW’s ankle knack when playing another meaningless game for England. How does this help the club which pays their wages? There isn’t an answer. If I were a player my ambition would always be to represent my country and friendlies, as crap as they are, are still a cap. Arsenal News or Lack of. I write posts, a lot of them. Well over 500 in the AA years since 2010 (?). Yet here I sit, staring at my keyboard completely bereft of ideas for a post. Why? Because of the Interlull. It is crap. 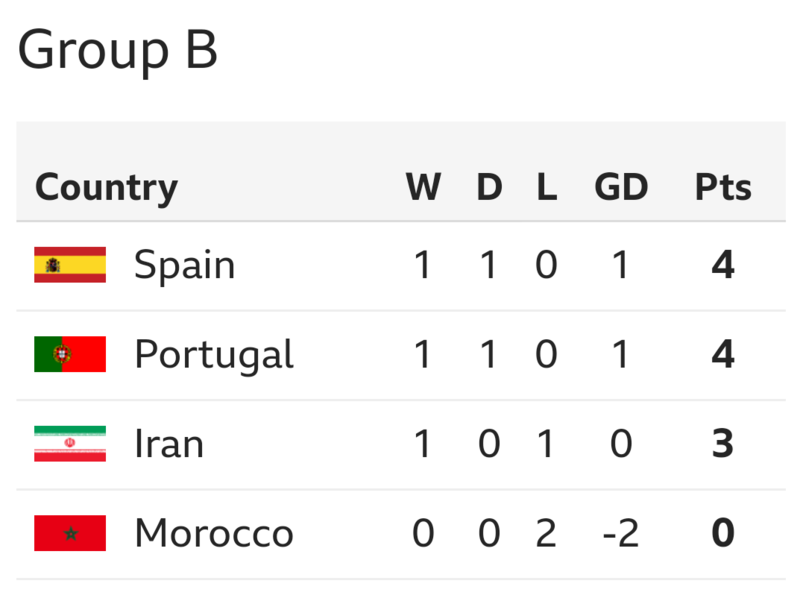 International games have become meaningless as most of our players play for countries which invariably qualify top of their Euro/World Cup groups. Quite frankly, we do not care about watching England struggle against Lithustania. Other players are involved in long-distance travel to S. America or Africa, expend huge energy in travel, training and playing time, then return to AFC (their wage payers) Kerry Packered or injured. My suggestion is that for the top National teams they stop qualification tournaments which are dull and only exist to make money for already rich Associations. The big tournaments should be seeded. Right, enough of that train of thought …. Bored with “will they sign a contract extension”. 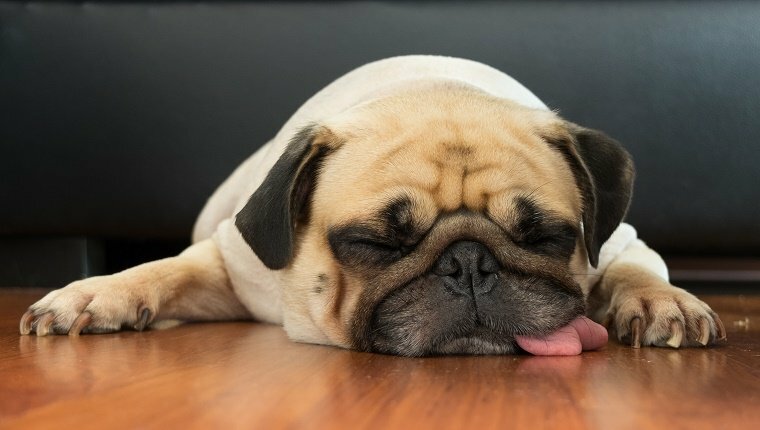 Bored with discussions about Silent Stan and his cohorts ideas for the future of the club. So what to write about? I could , of course, pre-empt my pre-match and start the ball rolling on a discussion about our huge game on Sunday, but what of tradition? We have still three days to go and what do we discuss tomorrow and Sunday morning? I could express my dislike of small dogs, plimsolls, coloured Doctor Martins, and my love of sliders and ladies with “abundance”, but we have done that, haven’t we, and at least the posts should be football related. Or we could not have a post at all. In my opinion the site would die if we only post a couple of times a week and I would hate that to happen. So … I remain blank. Perhaps you have an idea? Pl 6 W5 D1 L0. Our Boys in France. First to kick off at the Euros were The FP and Koscielny. Both had fine games with OG scoring the opening goal of the tournament, a classic centre forward’s headed goal. Given the pressure under which Giroud plays in France he must have left the pitch highly satisfied. Koscielny played as he does for Arsenal, with calm efficiency. Aaron Ramsey: I like his hair colour – it makes him very easy to identify. Ramsey had a strange game. Started in the number 10 role playing high up the pitch yet as the game progressed moved deeper and deeper. In the second half he was in his Arsenal position which is all over the place. It would be an exaggeration to say Ramsey dominated the game but he was influential. Next up England where he will hopefully kick lumps out of TotEngland. Wilshire: England kicked off without Jack! It was clear to see how much they improved when he came on. The media are raving about the quality of the England performance – I have no idea why apart from trying to keep interest in the team and tournament. How many chances did they create for the “lethal” Harry Kane? How could Hodgson keep a poor Sterling on the pitch with Vardy on the bench? Against a poor Russia team a draw was Spursy. Szczesny. Clean sheet, made a couple of fine saves. Didn’t have much to do in a game totally dominated by Poland but what he had to do he did with aplomb. Ozil: Mesut was fairly anonymous but created a last minute goal for Schweini. As always the oil in the German attack, he rarely gave up the ball and unusually played the whole game. So…. our boys result so far. Played 6 W5 D1 L0. Cech, Rosicky, Bellerin all play today (if selected). How to Balance the Squad?